A couple of weeks ago, and 100 days after the Institute for Apprenticeships launched, eight board members of the Institute made their way to Tutbury, Staffordshire to visit the Nestle factory for the July board meeting. We were joined by some of the apprentices from Nestle. Speaking with them highlighted how the apprenticeship standards employers are creating not only address skills gaps for businesses, but also create brilliant opportunities for people. It reminded us why we have the Apprentice Panel in place: so that the voices of those doing apprenticeships are heard loud and clear in the Institute. We’ve set up the Institute in a way that allows employers to make decisions at all stages. This enables them to create and shape apprenticeships that support the roles they need to develop for their sector. It's also important that apprentices have regular opportunities to give feedback so that we can make sure those apprenticeships are of consistent quality. This is the aim of the Institute for Apprenticeships: to be a centre of knowledge and expertise to support employers and apprentices, so that together we raise the quality of apprenticeships across England. We talk about quality a lot within the Institute. We want to raise the quality of apprenticeships to the highest possible standard. Apprenticeships should be respected and placed just as highly as other education options such as university degrees. 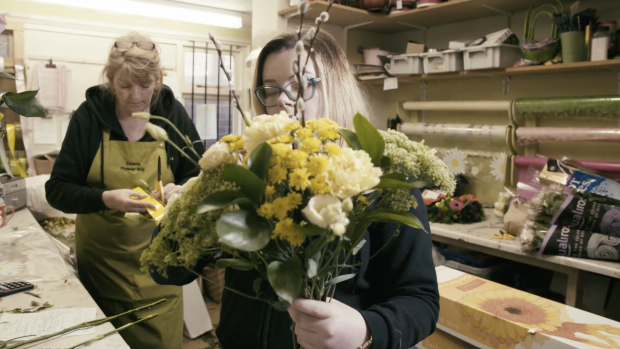 Quality apprenticeships are essential to the economy, they ensure there is a constant stream of highly skilled workers and professionals available to businesses across England. They also offer our young people a route into a long-lasting career. Apprenticeships were previously offered through frameworks which often didn’t suit the needs of employers. Led by employers, with the help of the Institute, the Education and Skills Funding Agency and the Department of Education, that is changing. By 2020, those frameworks will be replaced by standards which will set out exactly what the apprentice will be doing. They will also describe the skills and behaviours that the apprentice will be able to show at the end of their apprenticeship. There are now over 500 standards either in place or in development at all levels. Recently the first degree apprentices graduated, all with first or second class honours. This is a tremendous achievement, proving that the quality of new apprenticeships is becoming a reality and a viable option for many. It’s important that employers lead the development of standards. They are the people who know best what makes someone competent in the role and what transferable skills an apprentice will need to take the next step after their apprenticeship. That’s why employers’ involvement is crucial to the overall quality of apprenticeships. We’ve created a guide for employers to help them when developing a standard. We’re continuously working to improve this process to make it, as Government Digital Service says, clearer, simpler and faster. In total, approximately 240 trailblazers have developed 175 standards that are approved for delivery. That has meant more than 2,600 businesses in over 100 sectors have been involved. These employer groups play an invaluable part in making the quality of England’s apprenticeships world class, creating a talent pipeline that delivers the skills employers need now and in future. It’s with the hundreds of employers involved with the Institute, who are leading the way, that we will start to make a noticeable difference to the consistent quality of apprenticeships and to reaching our goal of 3 million apprenticeships by 2020. If you want to be involved, applications to become a peer reviewer are currently open. We’ve made good progress, but there is still more to do.